Two centuries after his birth, Karl Marx is read almost solely through the lens of Marxism, his works examined for how they fit into the doctrine that was developed from them after his death. 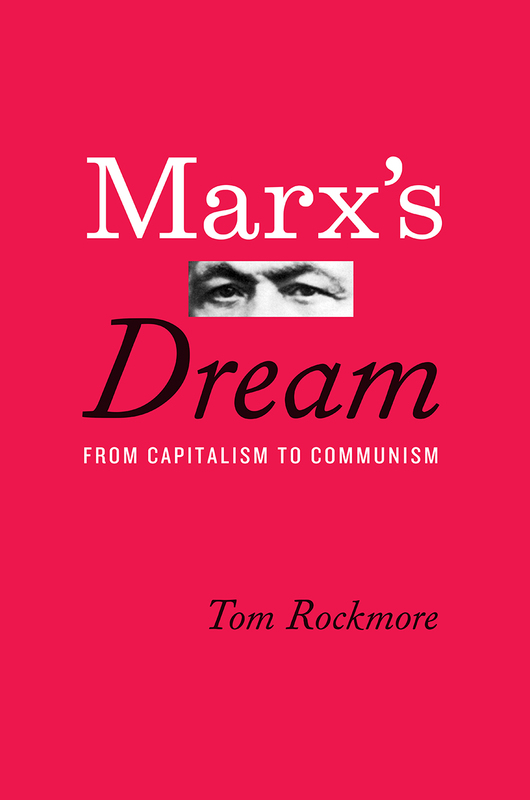 With Marx’s Dream, Tom Rockmore offers a much-needed alternative view, distinguishing rigorously between Marx and Marxism. Rockmore breaks with the Marxist view of Marx in three key ways. First, he shows that the concern with the relation of theory to practice—reflected in Marx’s famous claim that philosophers only interpret the world, while the point is to change it—arose as early as Socrates, and has been central to philosophy in its best moments. Second, he seeks to free Marx from his unsolicited Marxist embrace in order to consider his theory on its own merits. And, crucially, Rockmore relies on the normal standards of philosophical debate, without the special pleading to which Marxist accounts too often resort. Marx’s failures as a thinker, Rockmore shows, lie less in his diagnosis of industrial capitalism’s problems than in the suggested remedies, which are often unsound. Only a philosopher of Rockmore’s stature could tackle a project this substantial, and the results are remarkable: a fresh Marx, unencumbered by doctrine and full of insights that remain salient today. "Another book added to Tom Rockmore's impressive scholarship on 18th- and 19th-century German theory. In Marx’s Dream, he attempts to set the record straight on how best to interpret Marx, that is, through Marx's own voice or through Engels and the Marxist traditions. Rockmore's Marx is a profound philosopher in the spirit of Socrates, a man whose failures lie in his accounts of how to remedy the ills of industrialization rather than in his diagnosis of them. . . . Marx’s Dream is a must read for those studying Marx and Marxism or 19th-century German theory, and it will be of great interest to those working more broadly in economics, German history, philosophy, political theory, and sociology." "A thought-provoking thesis. . . .Tom Rockmore sets out to show that Marx, throughout his work, strives 'to provide a distinctive new response to the ancient problem of human flourishing' (4) under the conditions of modern industrial society." "Rockmore sees Marx as a philosopher in the Socratic mode, a political gadfly and social critic. Marx’s Dream locates us in the grand tradition of philosophical concern for human flourishing that never reconciles theory with practice. While focusing on Marx’s thought, independent of Engels and Marxism, Rockmore takes the reader from Hegel to Habermas, linking timeless questions with timely observations."